El, a seventeen-year-old has inherited an ancient and deadly power. She loses control of it, causing a horrific accident, and becomes the prey of a secret organisation, known as the Order. Forced from her family and home, she hides in plain sight amidst the crowds of London, and is thrust into a world she never knew existed; one full of arete: beings with extraordinary powers like hers. Arete are beings that can trace their lineage and powers from ancient Greece. They do not claim their inheritance comes from the gods, rather legend says they are descended from cursed beings, such as Medusa. 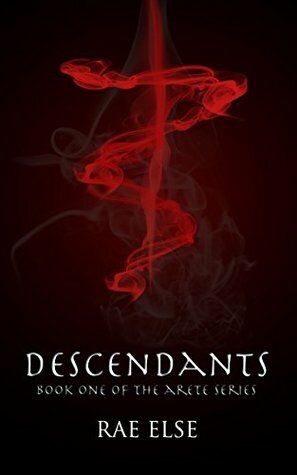 Descendants is the first book in the Young Adult, Urban Fantasy trilogy: The Arete Series. I gave this book 2.5 stars. I had a rough time getting into this book. I was kind of confused at some parts, it just jumped right in without really explaining anything. I liked that it jumped into the action, but with little explanation it was hard to follow. The protagonist was okay, but I just wish she had more dimension. She didn’t seem to have anything special about her other than her powers. I want to know her interests, what she likes, what she doesn’t like, her hopes and dreams, even just the small things. I just didn’t seem to get a lot from her, she was just a very flat character. I really did enjoy some aspects of this book. 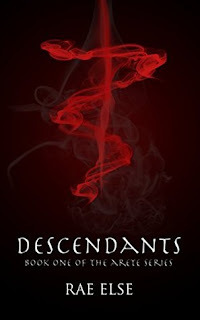 The entire plot line was pretty cool, I mean, Descendants of those cursed? I mean, being a descendant of someone so famous, that’s just so cool to me. I would say who the ancestor was, but I feel like that’s too much of a spoiler, so I won’t. You can figure that one out for yourself. I was a bit annoyed because this book started off well enough, declined a bit, but it was going well for a bit. But then, the author decided it would be a good move to throw in a love triangle. Why? My most hated trope and the author just had to put it in there. That lowered my enjoyment of this book a lot. It was completely unnecessary. The climax made the overall average go up, I enjoyed it, but it still had a rough time getting through that part of it. The end definitely didn’t make up for everything I didn’t like about it.